October 27, 2016 – Former NASA astronaut Terry Virts will give a keynote speech at the Southern Colorado Manufacturing Expo (SOCOM) in Colorado Springs, Colorado. His “View from Above: Lessons in Leadership from Space” is scheduled from 4 p.m. to 5 p.m. on November 1, followed by a reception from 5 p.m. to 7 p.m. Both events are free and open to the public. 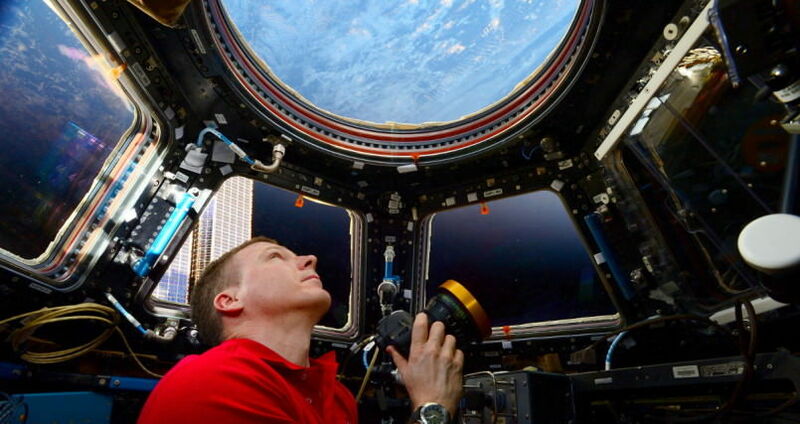 Virts documented breathtaking views while he was on the ISS, and was also one of the first feature film videographer astronauts in space for the IMAX film “A Beautiful Planet”. He has a unique perspective about the earth having taken more photos from space than any other astronaut. Virts knew from the time that he was in kindergarten reading his first book about the Apollo missions that he wanted to be an astronaut. He excelled in school, graduated from the U.S. Air Force Academy in 1989, and earned a Master of Aeronautical Science from Embry-Riddle. Virts was commissioned as an officer in the USAF and earned his pilot wings. After being stationed in Florida, Georgia, South Korea and in Germany, he was selected for Test Pilot School at Edwards Air Force Base, California. He has logged over 5,300 flight hours in more than 40 different aircraft including the F-16 “Viper” and the Space Shuttle. In 2000, Virts was selected as an astronaut by NASA. On February 8, 2010 he made his first spaceflight as pilot of the Space Shuttle Endeavour during STS-130—the mission to deliver the now famous Cupola, which provides astronauts with a 360° view of the International Space Station (ISS) and our planet. He returned to Earth on February 22, 2010. As a part of NASA’s leadership training, Virts then attended Harvard Business School in the fall of 2011 and completed the General Management Program. On November 23, 2014, Virts launched onboard Soyuz TMA-15M from Baikonur, Kazakhstan to the ISS. In March of the following year, Virts assumed command of the ISS as Commander of Expedition 43. Virts spent 200 days in space on his Expedition 42/43 flight, which is the third longest continuous space mission of any NASA astronaut. Virts retired from NASA in August 2016 and now shares the unique stories, perspectives and insights he has gained as a pilot, astronaut, author and photographer. His talks are generally accompanied by stunning visuals from his time in space. SOCOM is a two-day event designed to elevate awareness of the manufacturing industry as an important economic driver in the Colorado Springs region. The first day offers opportunities for attendees, exhibitors and manufacturers to interact and promote co-operative efforts. The second day of the event is dedicated to the general public and students from middle, high school and higher education to experience what manufacturing is and the opportunities that exist in the manufacturing sector. The full agenda can be viewed online. SOCOM will be held at Mortgage Solutions Financial Expo Center at 3650 North Nevada Avenue, Colorado Springs, Colorado.